Tagline: "Out of Time Without a Clue." Mega Time Squad is an upcoming sci-fi comedy. 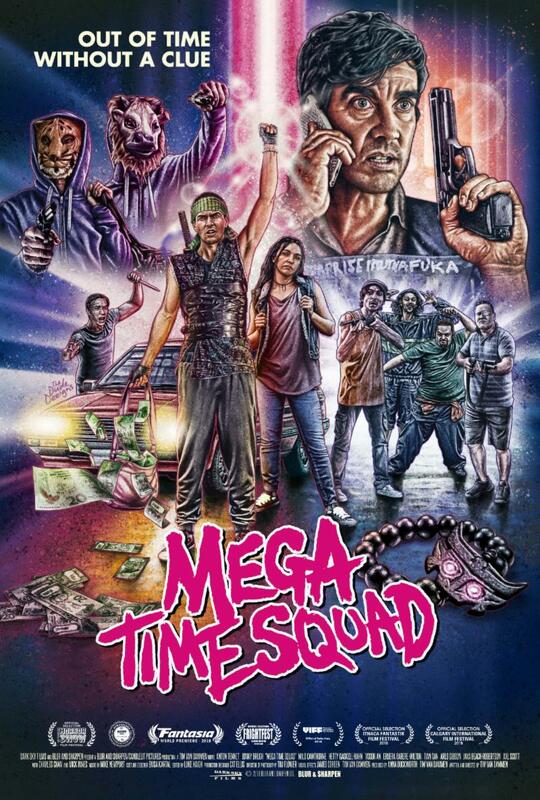 From the mind of Tim van Dammen (Deathgasm), Mega Time Squad is set to release this April, through Dark Sky Films. 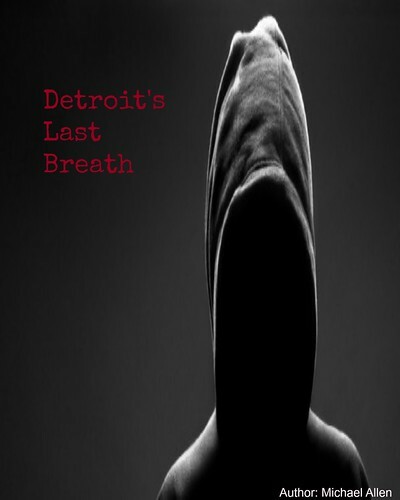 The story is a strange one, in which a time shifting robber creates copies of himself. Very greedy, this robber needs to get rid of his accomplices - all who look exactly like him. This title also stars: Jonny Brugh (What We Do in the Shadows), Hahn Milo Cawthorne (Deathgasm) and Anton Tennet. The film will be released on home entertainment formats in just a couple of weeks. Director Dammen has talked about this film. He says of the story and premise: "[its] a time travel heist comedy about a small town criminal who accidentally acquires a time travel bracelet and uses it to steal a bunch of cash from the local crime boss...he messes up the time travel thereby multiplying himself...he doesn't want to share it with his doubles, so they all turn against each other (Nightmarish Conjurings)." Most people are their own worst enemy and this is especially true for the character John (Anton Tennet). Dammen also has a history of working in special effects and he brought these skills to this film: "I didn’t have any money to make a film, but I did have a lot of experience with VFX so I thought about how I could take advantage of that. I decided to make a movie with only one actor and to multiply them so I just needed to find a context/genre/story that would play into this limitation." Dammen plays to his strengths within Mega Time Squad, which can be seen in the trailer below. This title was already released on Digital platforms and in a few theatres this past February. Now, Mega Time Squad is set to show on Blu-ray and DVD this April 9th. The film has a runtime of 81 minutes. And, this sci-fi comedy promises to re-invent the tropes of time travel movies, this Spring. Release Date: April 9th, 2019 (Blu-ray, DVD). Cast: Anton Tennet, Jonny Brugh, Hetty Gaskell-Hahn, Arlo Gibson, Milo Cawthorne, Eru Wilton, and Simon Ward.